All manga, all the time, all the Chris Hart way! Kids are drawn to manga like magnets, and Christopher Hart's manga books are among the hottest sellers of all books, with more than 2.5 million copies in print. Now Watson-Guptill has gathered Hart's four best-selling Kids Draw books and combined them into one giant manga book. If they're out there in the world of manga, they're in here: cute little critters, sophisticated heroes, witches and wizards, magical boys and magical girls, and everything else manga! Each character is drawn in clear step-by-steps, so young artists can easily follow along. 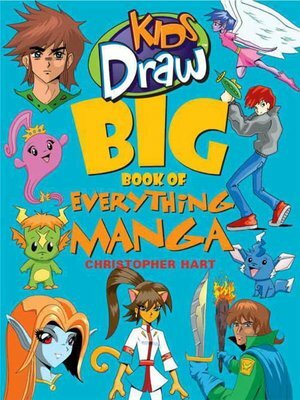 At just 19.95 dollars, Kids Draw Big Book of Everything Manga is one big bundle of manga-drawing fun for one, low price.